I would love to know what you think of this! Have you tried the one stroke technique before? this is so soft and delicate. It's beautiful. I have never heard of the stroke technique, but now I shall be looking for some videos on it! I've tried a little one-stroke technique, but not done a mani with it yet. I love the colors you used. Very soft and Springy! 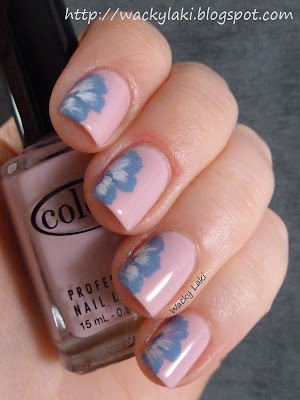 Wow this mani is just adorable <3<3<3 I so so love it!! 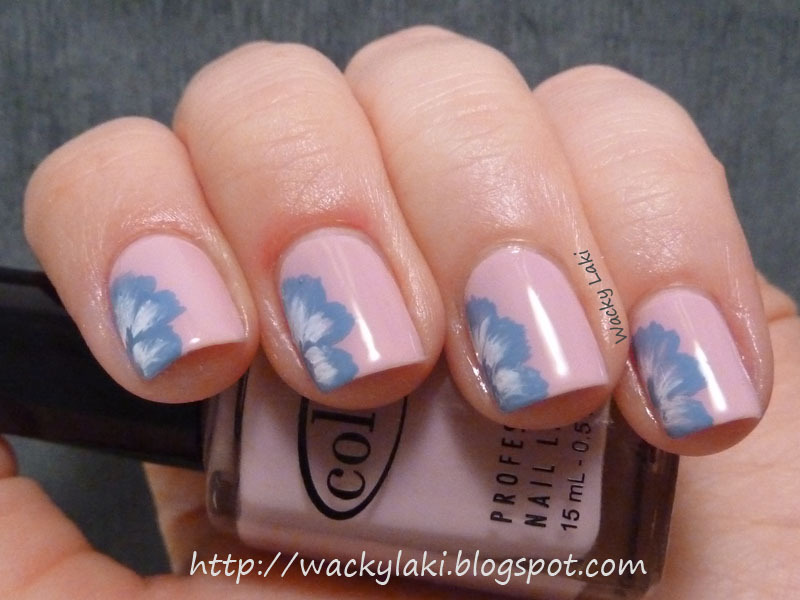 I have to try this "one stroke" flowers! 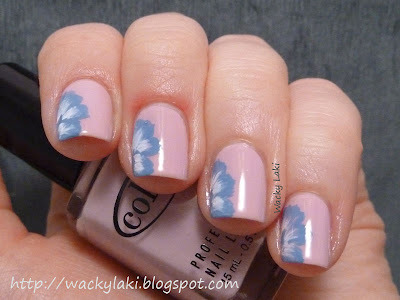 These one stroke flowers are lovely! What an exceptional job, for your first time! :D I've tried these out, but without much success. I haven't actually seen this technique before, but it is absolutely gorgeous! The colors you chose are so pretty and delicate. Somehow I can just picture this with bright colors and a big hibiscus style/anthers angling out from the left side... I'd love to see that! awesome as always, and very creative!! I haven't seen this done before! Very cool, I think I will be attempting this! So lovely! I want to try it! It's beautiful. I have tried one stroke technique once before and really enjoyed doing it. Actually, I like one stroke technique a lot. I think it's an easy way to create a nice design. I love how you did it in blue shades! These are gorgeous. & I love that base colour. This is wonderful! I love it...certainly doesnt look like a first attempt...looks like a pro! This is brand new to me! It's lovely and somehow it's your first time doing it?!?! Beautiful! 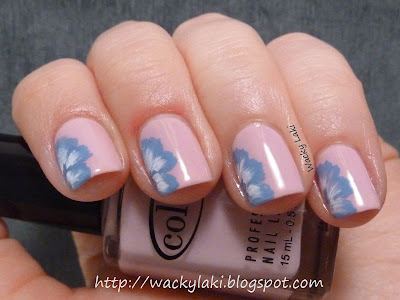 This is gorgeous, so delicate and lovely! Wow, you did really good here! This is a technique I've not tried myself yet, but just might have to try one day. This is sooo soo pretty! You are a woman of many talents... each incredibly well crafted! I am totally loving this! It's gorgeous!